April is Jane Austen month at This Book Makes Me Cook. Instead of picking one of her books, we decided that all members of the book club will read their favorite Austen and create something inspired from it. I've read all her books many times before, and for this re-reading I first chose Mansfield Park. The least known of her books, it's the story of Fanny Price who comes to Mansfield Park, home to her rich relations, as a child. I think Fanny has to be the meekest of Jane Austen's heroines. Aside from that, this is a typical Jane Austen with society dinners, gentlemen suitors and plenty of scandal for company. However, there is not a single recipe inspiration to be found. There are references aplenty to teas and dinners and suppers; but not one dish by name. I then read a second Jane Austen. Emma, the antithesis of Fanny, the strongest heroine Austen ever created. And even in the story of fiercely independent Emma, there wasn't a single reference to be found. I've always thought that Jane Austen talked a lot about food; but now that I was reading these books with this singular purpose, I realized that it only seems so. Because there are always meals people are sitting down to, and parties being attended, you have the semblance of seeing so much food but seldom the actual description of some. So what did I make? A good old fruit tart, apt for Emma's tea parties (even though her father Mr. Woodhouse will disagree). This is the first time I am making something from cannelle et vanille, a blog I admire a lot. I made the tart base by first creaming 60 gms butter with 40 gms sugar and 1/2 tsp vanilla essense. Then added 1/2 tbsp milk and mixed it in. Combined the dry ingredients (100 gms flour, 15 gms ground almonds and 1/2 tsp cocoa powder), then added them to the butter mixture and mixed lightly to make dough. I made a ball of this dough and put it in the fridge to chill. After half an hour, I rolled it as thin as I could and lined a tart tin. Pricked the base and let the base chill in the fridge for an hour. There is some dough left over that I have frozen for some cookies next week. I preheated the oven to 180C, pressed some foil on the tart case and baked it for 10 minutes. Removed the foil and baked it for another 10 minutes, then let it cool. In the meantime, I made the cream cheese filling. Mixed 30 gms cream cheese, 75 ml cream and 2 tsp honey and beat with an electric mixer until it got thick. I don't think I made it thick enough though - when I put my fruit toppings (fig, kiwi, mango, mint) - it did sink a bit. But the flavors blended well; and the tart made a fabulous lunch. Dessert for lunch!!! Yes, that's what Austen does to you. What did Austen inspire other members to do? Sweatha made Baked Apples, one of the few dishes actually mentioned in Emma. And finally, Bhags, our hibernating founding member is back with a post. In May, we are reading the third book in Joanne Harris food trilogy : Five Quarters of an Orange. If you would like to join us, leave a comment here and I'd get back to you with more details. 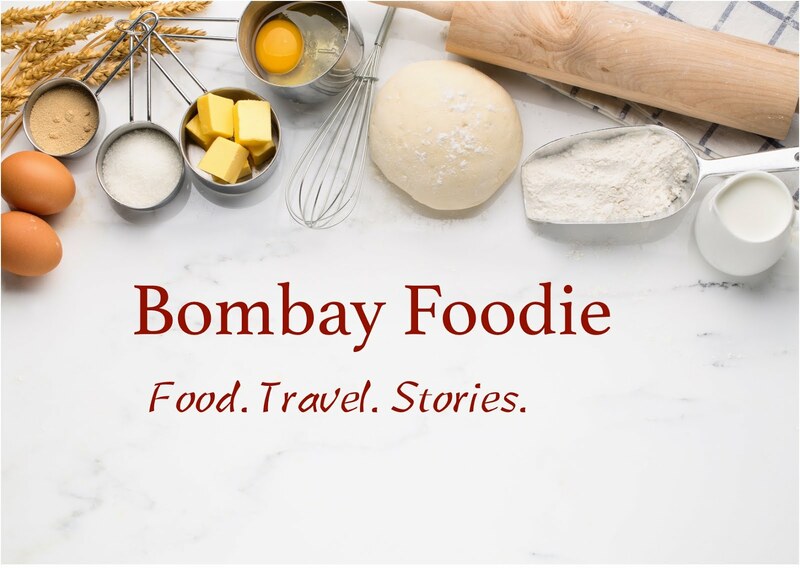 In the meantime, Tropical Fruit tart is going over to Srivalli for her Mithai Mela. I'll be posting my effort too. LIke I told you, I read Emma too. Tart Look's absolutely delicious with the fruit toppings! Wow that looks really really good. Is that a fig to the left?I did a tart too. Rachel - yes, that's a fig sinking in my too-soft cream filling! the tart looks wonderful. I am yet to post mine. I have a few more pages left and hoping to post by monday.I am reading pride and prejudice my all time fav JA book. I would love to be a member of the book club...I feel so bad about having missed Jane Austen theme...I've probably read her books a zillion times...Do count me in for the next one...Waiting for the details. Simran,I too read Emma,will be posting baked apple maximum by tomorrow.I am sorry I could not post earlier. looks so yummy,...fruits have added lovely colour to the tart,.. I started to read Emma and till half way through I couldn't find any reference to any kind of dish, as you said. I fell terribly sick and was bed ridden for like 10 days, due to extra work I have been doing I guess! For some light reading, I already started Joanne Harris, thanks to the book club she is favourite author now :)) the tart looks so yumm and colorful. 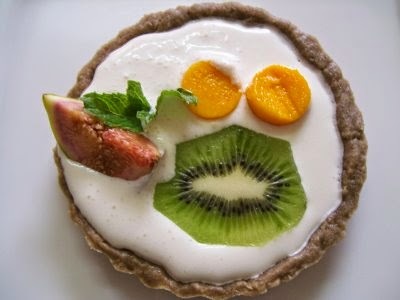 Tart looks very pretty..Love the creative arrangement of fruits on it!